In this game you are going to play as a brave samurai. Just explore this territory and collect all the bonuses of the game. Use the arrow keys to move and other useful tips in order to survive and reach the main goal of the game. So, do everything to vanquish it. This is a very cool dynamic platformer game with fully destructible world, where you can check all your skills and you will really like it. 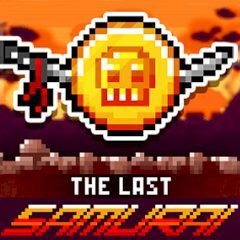 Just play as a samurai, use your shrikes and powder bombs to destroy everything around you, defend yourself from angry red ninjas, and find all secret scrolls on each level. Do you think that it is so easy? Well, then show it to us and you will be not disappointed. You have a great chance to become the real samurai and improve all your skills. There are also a lot of enemies, so have faith in yourself and enjoy it!